My Ciri cosplay from The Witcher 3. 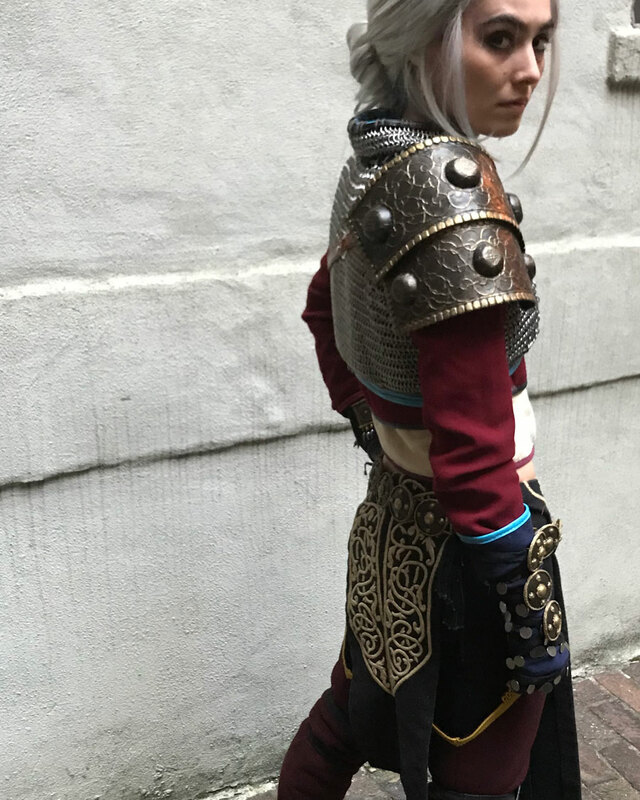 All handmade by me, including padded satin stitch embroidery, hand-sewn leather bindings, steel mail, worbla armor, a hand-woven wrist wrap, custom-patterned fingerless leather gloves, the works. It’s been a long time since I managed any blogging but the workshop is as active (and messy) as ever. 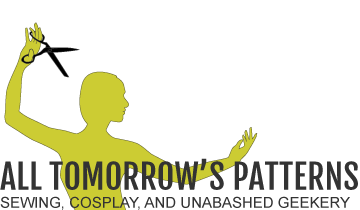 I just added a new costume page if you’d like to get an idea of what I’m up to, including some detail photos from my latest cosplay project, Ciri’s alternate outfit from the Witcher 3. I’d like to get around to full writeups of all these costumes eventually, but until then you can keep up with my projects on instagram. I’m Gillian Conahan, a cosplayer, writer, editor, and occasional illustrator with an unruly fabric habit. I love patternmaking, fabric manipulation, embellishment, and big, ambitious projects. My book The Hero’s Closet is available now!